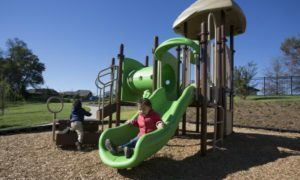 Always growing upwards and outwards, American Fence Company is now growing into the park and playground equipment market. 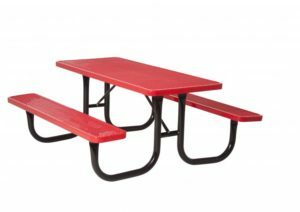 American Playground Company is our newest division that specializes in the installation and design of outdoor recreational equipment. Our South Dakota branch recognized the potential in this new division and took charge of making our place in the world of playground equipment. Security solutions are one of the areas we excel at most at American Fence Company. We have been in operation for over 50 years, and in that time we have become one of the Midwest’s forerunners in the installation, sales and design of high security solutions. We have a team that is extensively experience and trained in the installation of this sensitive security equipment. The proficiency we have in security protections is now going to apply perfectly in the outdoor recreation and park market. Like security, playground equipment requires an eye for detail for the highest level of safety. We don’t use subcontractors for our playground and park installations, only our own hired crew members. We do this so we can be sure all of our installers meet and exceed industry standards, as well as our own. American Playground Company is the premium contractor of playground, sporting and park equipment in the Midwest. For a free quote for your own project, please submit an online request or give us a call at 1-605-368-9929 today.